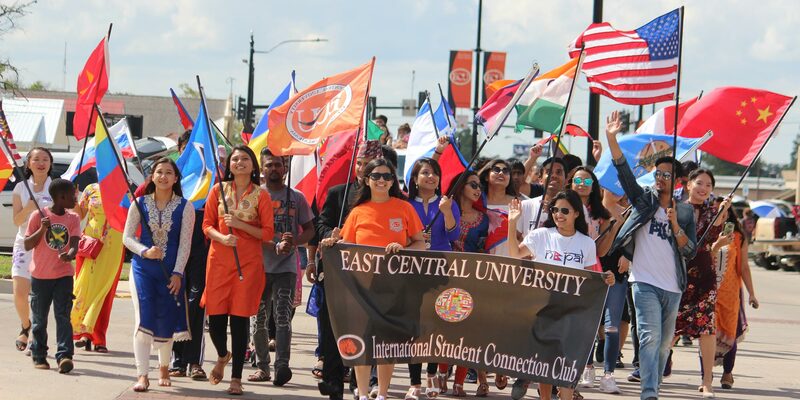 East Central University Welcomes the World! In support of the mission statements of both ECU and the Division of Student Development, the mission of the International Student Programs and Services Office is to promote and enhance the personal, academic, and social growth of every international student. These enhancements are made through programs and services that are guided by and exhibit the qualities and characteristics of integrity, accuracy, consistency, and availability in the spirit of genuine caring and concern, viewing each international student as a vital and integral part of our campus and community. We will attempt to respond to all inquiries within 1-5 business days (excluding weekends and holidays).